When Back to Black came out in 2007, it was one of those albums that defined a summer for me and really inspired a lot of creativity. As much as people want to now focus on her drug problem, alcohol addiction, and what a hot mess in general she was … I would like to remember her for a door she opened. 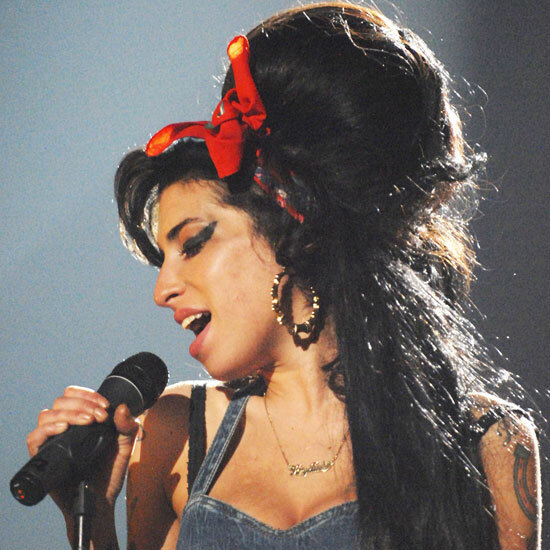 Before the Gaga’s, Florence and the Machine’s and the Ke$ha’s and the world … there was Amy Winehouse in 2007 with her beehive and winged-out eye liner. While the world was coming off of their Britney Spears and Christina Aquilera and, in general, pop highs … she came walking into the American music scene with this really retro, 1950’s vibe to her that was contagious. In fact, if I remember correctly, her look was a little shocking. She was miniature with all of these fabulous tattoo’s, colorful bra straps hanging out of a 1950’s-esque take on a shorter dress. And now, women are being incubated on stage and we don’t even blink. I was in college when the Winehouse craze was taking place, trying to “find myself,” and after seeing the video for “Rehab” I desperately wanted her look. I would wing out my eye liner as much as I could and put my own take on the beehive, since quite frankly I did not have enough hair to pull off hers. I even think I wore a white tank with a colorful bra underneath it and a scarf in my hair. All of a sudden it was okay to look vintage chic instead of dipped in designer threads. To this day, I still wing out my liquid liner … maybe not as drastic as I once tried… but it is still with me. Her look, when she was healthy, was timeless. She was one of the first female artists with a voice and presence who made it okay to be your own person without having to wear a belly shirt, have blond hair, and jeans so low you actually wondered if those chicks had vaginas. She truly was a throw back and quite frankly a breath of fresh air. Personally, her sense of style opened a lot of doors for me and made me want to push boundaries a little bit more. With all negativity aside and her life choices and what she turned herself into, it truly is a tragic loss and I will forever hold Back to Black close to my heart and want to do the twist to every single one of her songs. Amy Winehouse was a contrast from the same old crap in every sense. Her look was flashback and her sound dwarfed the pop quickies permeating the landscape. She was a rare talent whose soul will live long past many of her dead weight contemporaries. I really enjoyed your ode to her. Thanks.